As seen in The Presidential Visits Series in its entirety: James Monroe to Donald Trump, Michael J. Nighan has chronicled the visits of several presidents to Rochester. Today, Michael looks at a President who did not visit Rochester but played a formative role in its existence: Nathaniel Gorham, 8th President of the United States. Over the years many Presidents of the United States have passed through Rochester. But one president can top those visits. Because, even though he never visited here, the claim can be made that he once owned the city. All of it. All of Rochester. All of Monroe County. Plus a couple of million acres of surrounding territory. And by the way, he also happened to have been one of the signers of the Constitution. Mention our presidents and we instinctively think of George Washington. Our first president. Except that technically he wasn’t the first. Although he certainly was first under our current Constitution (which is actually our SECOND constitution), there were in fact ten men who, under our FIRST constitution, the Articles of Confederation, held the office of President of the United States prior to George. And No. 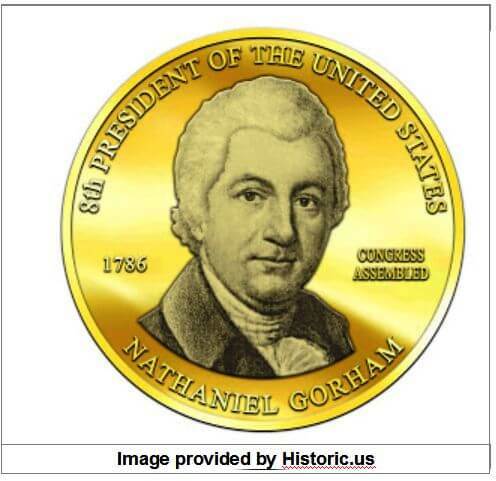 8 on that list was Nathaniel Gorham of Massachusetts, the president who would eventually own Rochester. 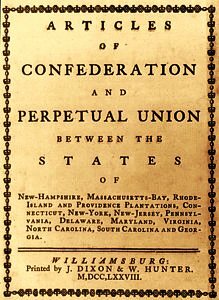 Soon after declaring independence in 1776, the Second Continental Congress drafted and debated the “Articles of Confederation and Perpetual Union”, sending them to the states for ratification. Requiring the approval of all 13 states, and taking into account that there was a war on, it’s not surprising that it took until March 1, 1781 for all approvals to be received and the Articles put into effect. As government under the new Articles of Confederation evolved, the presiding officer soon became identified as the “President of the United States in Congress Assembled”. 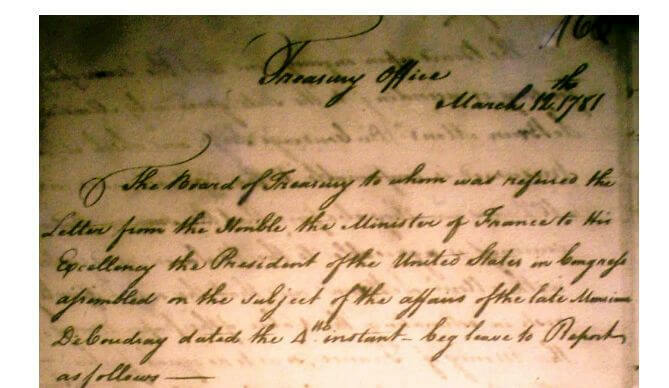 While not a chief executive in the manner of our later presidents (under the Articles, the unicameral Congress as a whole acted as the executive, requiring most matters, minor and major, to be decided by a majority vote of the members), the president did chair the Committee of the States, comprised of one member from each state, which carried out the day-to-day functions of government when Congress was in recess. Gorham was a man on the make from the beginning. His teen years and adulthood had been spent acquiring wealth along with business and political connections. By his early 30s, after the colonies’ break with Great Britain had begun in earnest, he set aside his business (except for a little high seas privateering) to serve in various Massachusetts colonial offices, including being a member of the committee to draft a new state constitution, before being sent as a delegate to the Second Continental Congress and it’s successor, the Confederation Congress. As participation petered out, the 1785-1786 session of the Confederation Congress ended on Nov. 5, marking the end of Gorham’s presidency. But both his involvement with Congress, and his desire to make a buck, continued. In one of the very few times he spoke during the debates, Washington expressed his approval of Gorham’s proposal. With such support, the motion passed unanimously, the change was made, and Nathaniel Gorham and 38 others affixed their names to the Constitution. Following the American Revolution, a mare’s nest of contradictory royal charters from kings James I, Charles I, and Charles II, combined with conflicting British treaties with the Dutch and the Native American tribes, made state land claims and land sales a legal morass. At the end of the war, Great Britain ceded to the United States most of her claims to territory east of the Mississippi, including lands controlled by the tribes of the Iroquois Confederacy (who were not consulted). As a result, one of the major issues confronting Congress was mediating between the states and seeking a peaceful resolution of dozens of conflicting land claims, while protecting the territorial interests of the nation as a whole and, theoretically, the interests of the Native Americans living on the land. Because the royal charters of New York and Massachusetts, and to a lesser degree Connecticut, overlapped, each claimed all or part of the land between Seneca Lake and the Niagara River and Lake Erie. While today it might be seen as a major conflict of interest, while serving in the Confederation Congress, including his term as president, Gorham was also acting as an agent representing Massachusetts in their negotiations with Congress and with New York. (3) These negotiations resulted in the Dec. 16, 1786 Treaty of Hartford, under which the disputed territory was recognized as being part of New York, while Massachusetts was given the pre-emption right to first sale of the approximately 6,000,000 acres involved (equal to 1/5 of the territory of the current State of New York), which would first require persuading the Iroquois inhabitants of the land to abandon their own territorial claims. Connecticut was compensated with several thousand acres along the New York – Pennsylvania border. Oddly enough, perhaps because he was not available, or perhaps because of a belated sense of propriety, Gorham did not sign the treaty. However, when it was finally submitted to Congress in 1787, he was among those who voted to accept the settlement, thus ending any further involvement in the matter by Congress. Because they couldn’t sell the land to settlers until they’d first obtained clear title from the Iroquois, Phelps immediately traveled to the wilds of western New York to enter into negotiations with the tribes, while Gorham stayed in Massachusetts to handle sales. 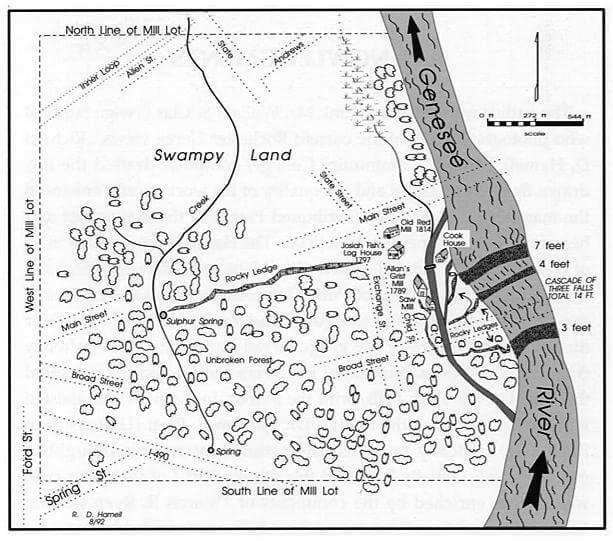 (4) Running into several stumbling blocks, Phelps was only able to acquired title for Gorham and himself to about 2,000,000 acres east of the Genesee River, including what became all of Rochester and Monroe County on that side of the river. 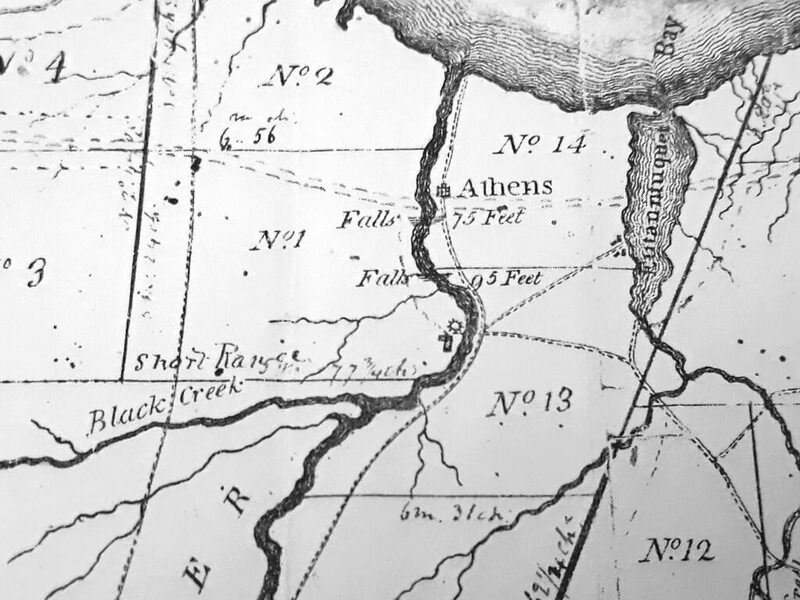 Phelps’ attempts to acquire the rights to land on the west bank of the Genesee River were stymied until he offered to build a grist mill at the falls of the Genesee to relieve the Iroquois of the arduous task of grinding corn by hand. 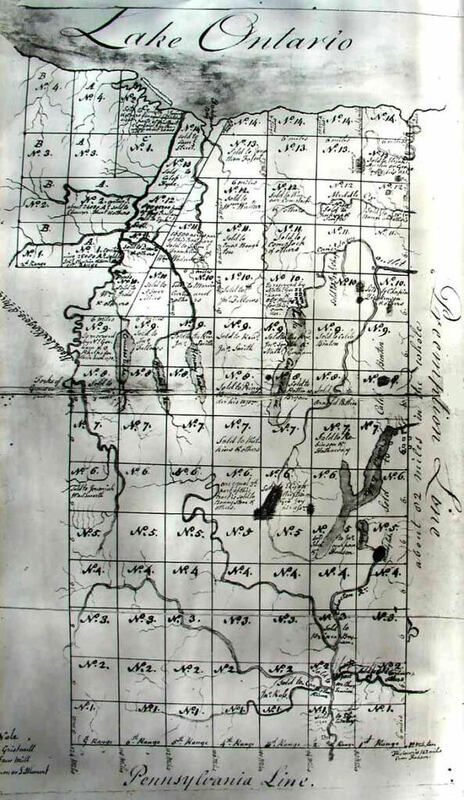 With this incentive, Phelps and Gorham acquired several hundred thousand additional acres, including the western half of today’s Rochester and Monroe County, the final agreement being signed in July 1788 by three Mohawk chiefs, three Oneida chiefs, eight Onondaga chiefs, 22 Cayuga chiefs, 23 Seneca chiefs, and seven “Female Governesses or Chief Women”. This tract became known as the Phelps & Gorham Purchase. On the west side of the falls of the Genesee, centered on what today is the intersection of Main and State Streets, Phelps and Gorham deeded 100 acres to Ebenezer “Indian” Allen, on the condition that he build the promised grist mill. 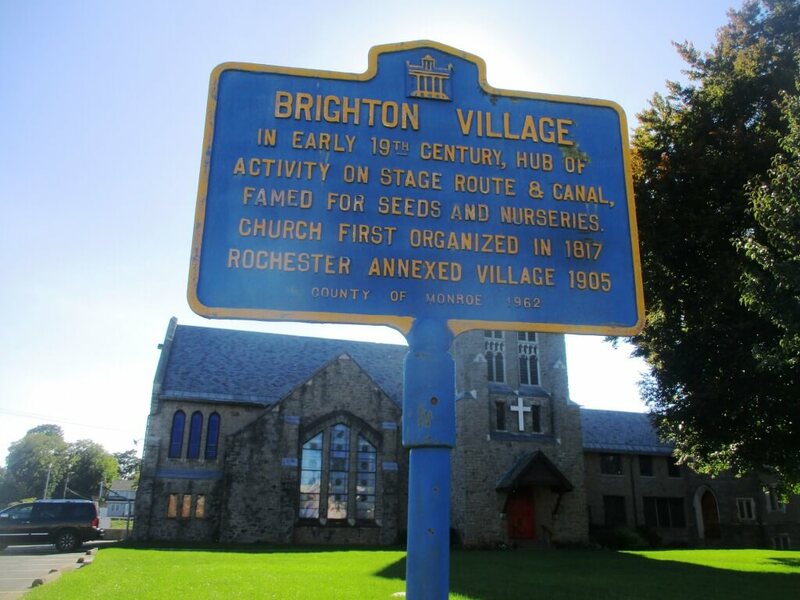 This land became known as the “100 Acre Tract” and formed the nucleus of the City of Rochester. For the sale of their claims to 2,600,000 acres of western New York, the Iroquois received payment of approximately $5,000 (due to some slight-of-hand by the interpreters, the Iroquois thought they were getting almost $10,000) and a promise of a perpetual annual payment of $500 (these payments ceased after less than 20 years). Sadly for Phelps and Gorham, what with lower-than-anticipated sales to settlers, the on-going problem of collecting money from land purchases, and with an unforeseen rise in the value of Massachusetts currency as national economic conditions improved, in 1791 the syndicate defaulted on the contracted payments to Massachusetts, who in turn resold the preemption rights for the land west of the Genesee River to money man Robert Morris, the “Finance of the Revolution” and the richest man in America. Likewise, Phelps and Gorham were forced to sell most of the land they had acquired east of the Genesee to Morris at bargain prices. As to Gorham, both he and Morris went bust when their huge land speculations failed (Morris even wound up in debtor’s prison). Gorham died at the age of 58 and lies buried in Boston. Possibly broken by his financial ruin and loss of political influence, he never held federal office under the constitutional government he had helped to create. The Town of Gorham in Ontario County, named in his honor, remains as the most visible symbol of his involvement in the opening of western New York to settlement, while his one-time ownership of Rochester rates barely a local footnote. Gorham also owned my town, Brighton. He went bust before the town really got going. But we can (sort of) count Gorham as a founding father. (1) Gorham’s election was prompted by the resignation of his predecessor, John Hancock. Hancock was returned to Congress after serving as governor of Massachusetts and was elected its president on Nov. 23, 1785. However, he didn’t want the job, never attended Congressional sessions, and resigned the presidency on June 5, 1786. 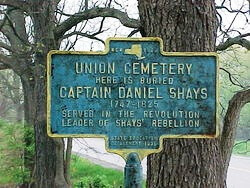 (2) Interestingly enough, Daniel Shays is buried in Livingston County, on land that had also been owned by Gorham. (3) On at least one occasion, a petition from Massachusetts, signed by Gorham as an agent of the commonwealth, was received by him as president. 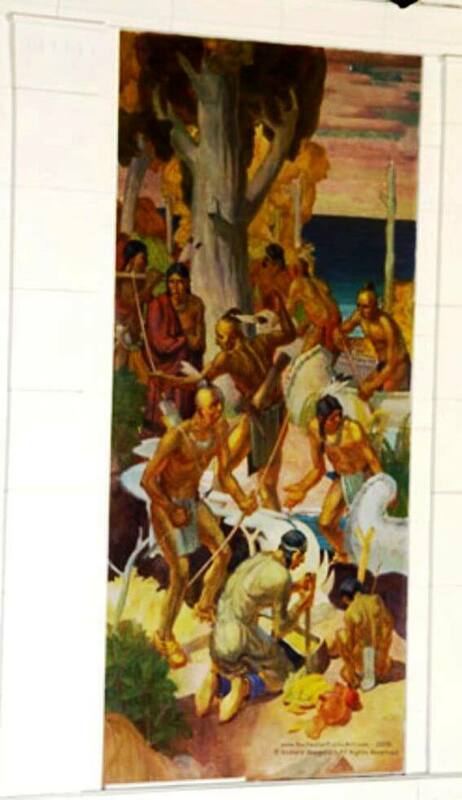 (4) Despite some popular misconceptions, the Iroquois considered themselves to be the owners of the land. However Phelps managed to convince them that when the British ceded land to the United States under the 1783 peace treaty, the claims of their Native American allies were also ceded so that the literal trinkets and beads the Iroquois were being offered for their land claims were more then they were entitled to.